Warm up with a hot stones massage using coconut oil infused with essential oils to relax the body while melting away the tension. 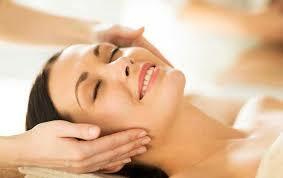 Additional focus on the neck and facial muscles to rejuvenate the skin and ending with a calming scalp treatment. A relaxing massage using classic Swedish massage techniques combined with a nurturing touch. Light to medium pressure is used incorporating long, sweeping strokes, kneading and friction strokes with the aim to induce relaxation and bring a sense of calm leaving you refreshed and revitalized. This is my signature massage combining intuition with technique using a sensitive nurturing touch. Incorporating a variety of techniques and addressing problem areas releasing tightness, knots-trigger points and addressing areas of concern with the aim to de-stress and bring a sense of balance leaving you invigorated and energized. Thai Yoga Massage-an ancient healing therapy practiced to re balance, energize the tired body and revitalize the life force. Thai yoga massage is based on the principles of acupressure, yoga snd Zen shiatsu inspired by the Buddhist teachings. A combination of gentle rocking, slow rhythmic compressions along the body's energy lines, called Sen in Thai, deep stretching incorporating yoga poses and rotation of joints to leave your body totally relaxed, muscles relieved of tension and fatigue while calming the mind. Thai massage is performed on a floor mat with you fully clothed in comfortable clothing, on a massage mat on the floor while the practitioner works to release tension in the body, deeply opening joints and improving flexibility. 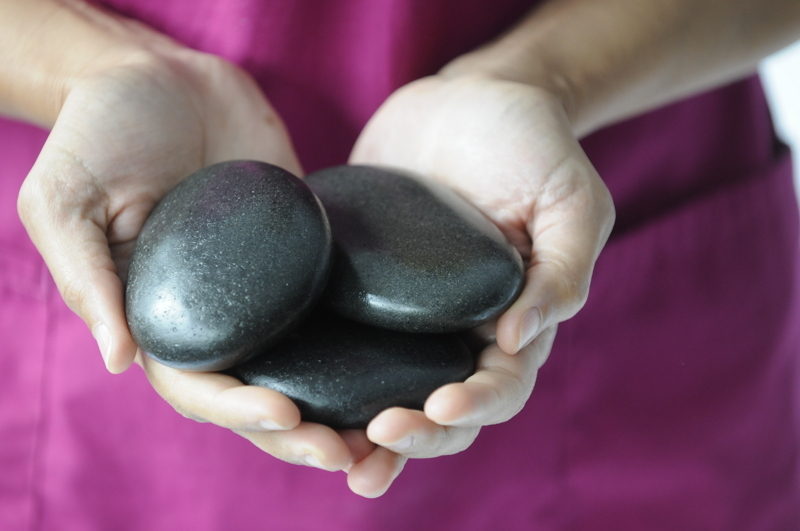 Smooth Basalt rocks are heated and are incorporated into our signature full body massage. The lasting warmth of the stones melts away stress and tension while softening tight muscles. Healing, soothing and relaxing! 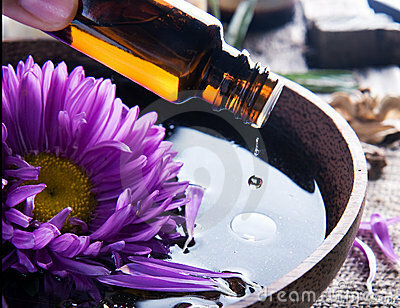 Aromatherapy oils are custom blended in a carrier oil to target your specific health concerns and what you are experiencing at that point in time. This blend is also given to you to take home and add to a soothing bath. 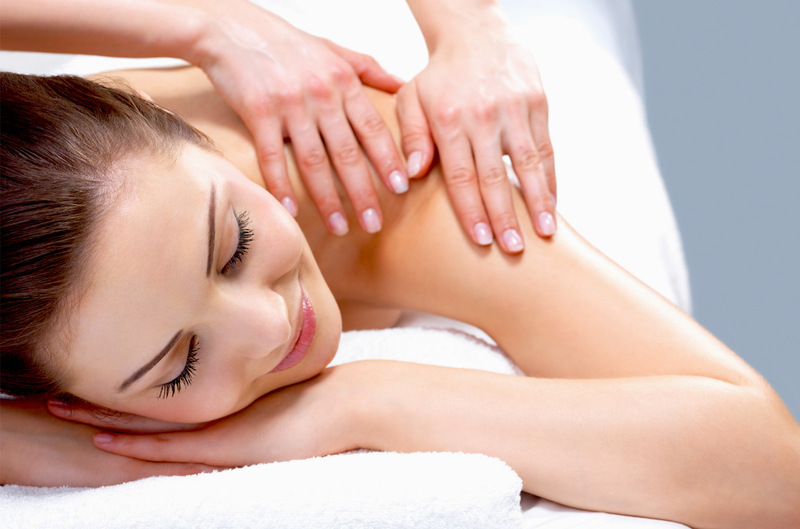 A relaxing massage giving special attention to any aches and pains normal to pregnancy. 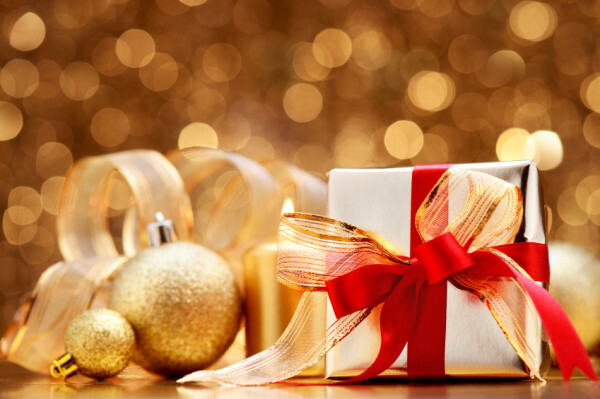 Special bolstering is used to ensure your utmost comfort and relaxation during this special time in your life. An ancient massage technique based on the Indian Ayurvedic healing system. In champissage the head, neck and face are massaged using oils with the purpose of manipulating energy channels -it is one of the most relaxing treatments yet a powerful tool against stress, and many modern ailments. The experience is truly "mind blowing"...the aim to restore balance and bring a sense of alertness leaving you deeply relaxed. Special cups are placed on your skin creating suction to pull tissues away, creating space, freeing tissues while releasing tension and adhesions.Pulling the flesh away from the underlying structures facilitates rigid soft release and the ability to recover from pain and injuries faster. The cups may also be used to do Massage Cupping Therapy using different oils so that the cups can be moved and glide easily over the body..Massage Cupping is considered an alternative medicine to help with pain management and induces relaxation and stress relief while easing tension. 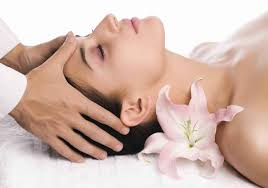 Facial massage focusing on major muscles of the face using a blend of aromatherapy oils specific to your skin type leaving your skin refreshed. 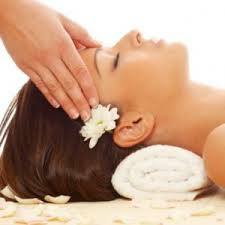 A muti step facial to cleanse, exfoliate, firm, moisturize and massage in one luxurious 15 min treatment. Smooth basalt salts are incorporated into your choice of massage service focusing specifically on ares where the body is holding tension. Oil is massaged into your scalp to induce a feeling of deep relaxation and calming of the mind. Warm up with a coconut oil infusion of essential oils and hot stones massage. For the workplace and special events... On site massage is wonderful for overused muscles and repetitive stress associated with computer use/ desk jobs. Chair massage is quick and easy, conducted while you are fully clothed. Helps improve circulation, decreases anxiety, increases employee performance and productivity, morale and wellness. Call for pricing and to schedule for corporate events. Outcalls for female gatherings such as birthdays, weddings, baby showers, celebrations! Customize your girls spa day from the following services: full table massage, chair massage, reflexology, facials, henna tattoes and much more! Call for pricing! Click "book now" button to schedule your appointment.